In its ninth year, this festival explores and addresses a wide range of human rights issues from around the world. Five films will take you on five different journeys—exploring the complex odyssey of topics like climate change, violence and LGBTQ+. Present at each viewing will be filmmakers and Human Rights Watch experts to discuss the issues raised by the films and their impact around the world. Pick and choose which films to watch or buy a pass to view all five for $40. An adaptation of the best-selling book by Cheryl Strayed, Tiny Beautiful Things follows the relationships between an anonymous advice columnist named Sugar and the many real-life readers who pour out their hearts to her. Variety called the adaptation “a theatrical hug in turbulent times”. This uplifting play debuts February 9 with tickets starting at $30. Your moment to truly romance your sweetheart is here with the exclusive love-themed art tour that the San Diego Museum of Art is offering. This romantic affair includes a docent-led tour of the museum’s most love-filled works of art, followed by a gourmet picnic under the stars in the May S. Marcy Sculpture Court and Garden—which is an extremely rare opportunity. Sit back, relax and let love fill the air as you treat your beau to a night to remember. Tickets for this sweep-you-off-your-feet experience are $110 members and $130 nonmembers. It’s time to let your inner child out to play at the Fleet’s newest exhibit, Pause | Play. Press pause on your digital life and play on your youth-like nature as you speed down a slide, take a spin on the merry-go-round or shoot some hoops – all while exploring the science behind the fun. A true pioneer in the world of street art, Rocco Satoshi, known as the “Father of Japanese Street Art” will have artwork on display at the Japanese Friendship Garden starting February 1. Curator Jeff Kelley will be exhibiting his private collection of Satoshi’s work that will consist of more than 40 unframed acrylics on canvas and some 20 unframed small acrylic and mixed-media images. With possession of the largest private owned collection, Kelley hopes to extend Satoshi’s legacy to a new generation. That We Should Be Heirs encourages participants to engage in the lost art of letter writing as a method of alleviating burdens and promoting healing. This installation will allow patrons to share in the making of this art by putting pen to paper and unburdening themselves. The project focuses on one of the most profound commonalities that we all have—our desire to heal and let go. Join in the creation of this exhibit starting February 16. 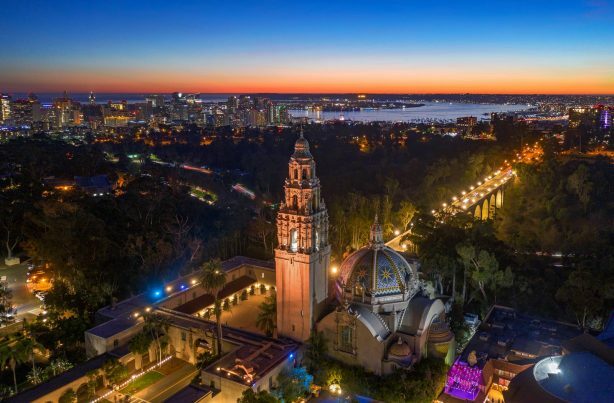 It’s time again for the San Diego Museum of Art’s sundown series, Culture & Cocktails. This edition of the event will be celebrating the newly installed works of art by Jose Maria Sert, which depict the adventures of Sinbad the Sailor. This whimsical evening will showcase fanciful siren performers, a High Seas photo opportunity, a crowd favorite food truck—Cousins Maine Lobster Truck, and, of course, themed elixirs to satisfy anyone’s seafaring desire. Tickets for this eccentric evening are between $10 – $35. This entry was posted in San Diego Events by Emily Paddock. Bookmark the permalink.